Ghostbusters is a classic American film full of spooky humor from beginning to end. The Ecto-1 returns to help the 'Busters save the day once again. Loaded with all of the gear necessary to take down any nasty poltergeist that gets in their way. 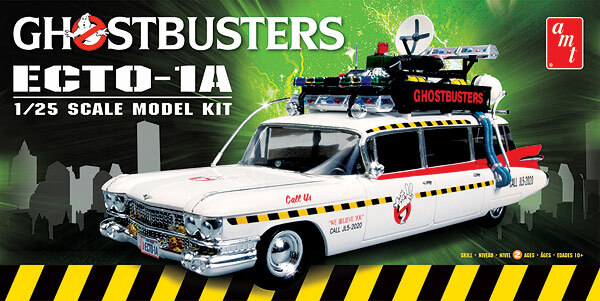 The kit features a detailed equipment rack and decals to decorate the car as the Ecto-1 or the Ecto-1A. Size in inches: 10" x 3.5" x 4.5"